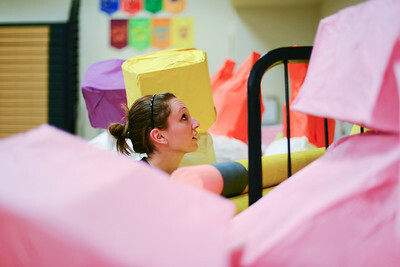 Daniel J. Murphy - dmurphy@shawmedia.com Student teacher Meg Ryan stacks a giant papier-mâché eraser in the gym Saturday April 28, 2012 at Leggee Elementary School in Huntley. On Monday and Tuesday nights next week, Leggee Elementary School will host its annual art show that will feature over 4,000 pieces of artwork created by student artists in Kindergarten through fifth grade. 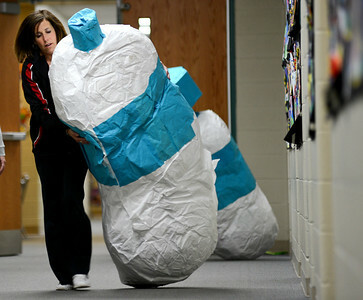 Daniel J. Murphy - dmurphy@shawmedia.com Third grade teacher Gayle Scime carries a giant papier-mâché tube to the gym Saturday April 28, 2012 at Leggee Elementary School in Huntley. 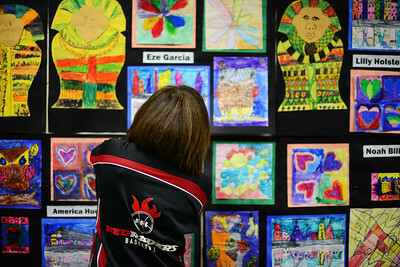 On Monday and Tuesday nights next week, Leggee Elementary School will host its annual art show that will feature over 4,000 pieces of artwork created by student artists in Kindergarten through fifth grade.